These presentation slides 30253 are complete compatible with Google Slides. Simple download PPTX and open the template in Google Slides. 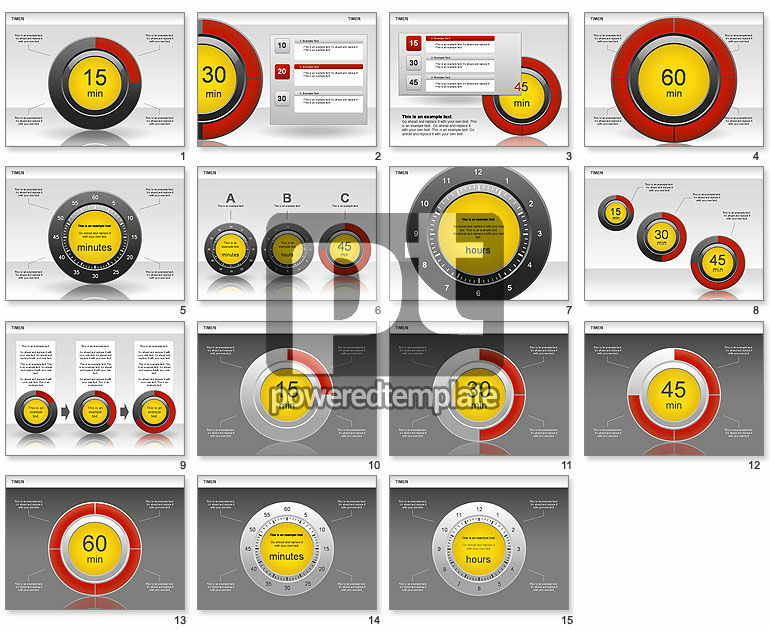 Timer Diagram Set will be ideal for presentations on time management, time line, deadlines, milestones, process stages, time management resources, etc.